This event is free and open to all ages, targeting children in grades K-8th with parental participation encouraged. 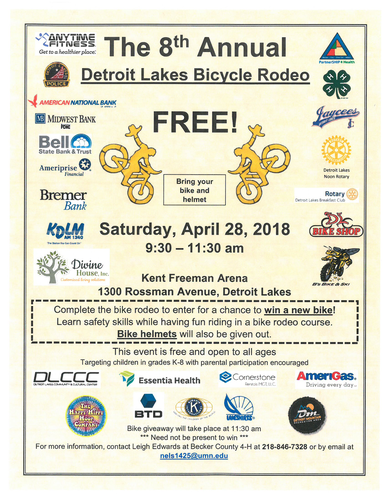 Complete the bike rodeo to enter for a chance to win a new bike! Learn safety skills while having fun riding in a bike rodeo course. Bike helmets will also be given out.